Swedish authorities nab 3 attackers wanted in the firebomb attack on a synagogue in Gothenburg, following Trump's Jerusalem declaration. 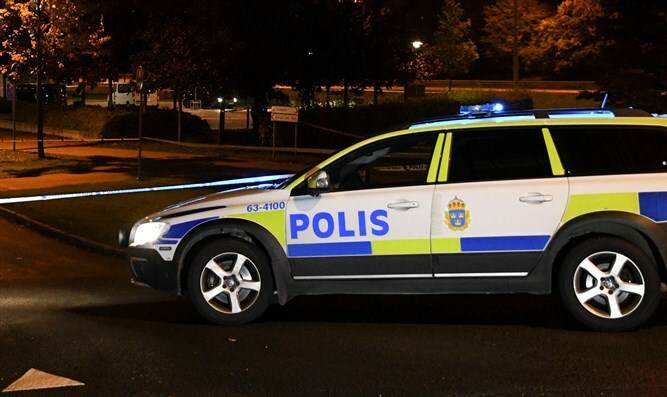 JTA - Three people were arrested in connection with the firebomb attack on a synagogue in Gothenburg in southern Sweden. The arrests were made early Sunday morning, hours after more than a dozen men hurled firebombs at the synagogue after locals marched in the city against the United States’ recognition of Jerusalem as Israel’s capital. No one was injured in the Saturday night attack, which occurred while the synagogue was hosting a youth group program. The Swedish Prosecution Authority announced the arrest. No information was provided about the people who were arrested. Security around synagogues in the Swedish capital of Stockholm was increased, Reuters reported citing the TT news agency. Swedish Foreign Minister Margot Wallstrom on Sunday condemned the attack and calls for violence against Jews. “The attack against the Synagogue in Gothenburg and calls for violence against Jews in Malmo are deplorable and totally unacceptable. Anti-Semitism, threats and violence have no place in our society,” she tweeted in English. “We urge the Swedish authorities to take every measure possible to ensure the safety, security and well-being of its citizens. No person should ever have to live in fear or danger,” Singer also said. In October, an administrative court in Gothenberg ordered that a neo-Nazi march scheduled to march past the synagogue on Yom Kippur be rerouted.